The Sino-French War was originally not a direct conflict between France and China. The premise of the war was that France wanted control of Vietnam, which was a Chinese tribute state at the time. 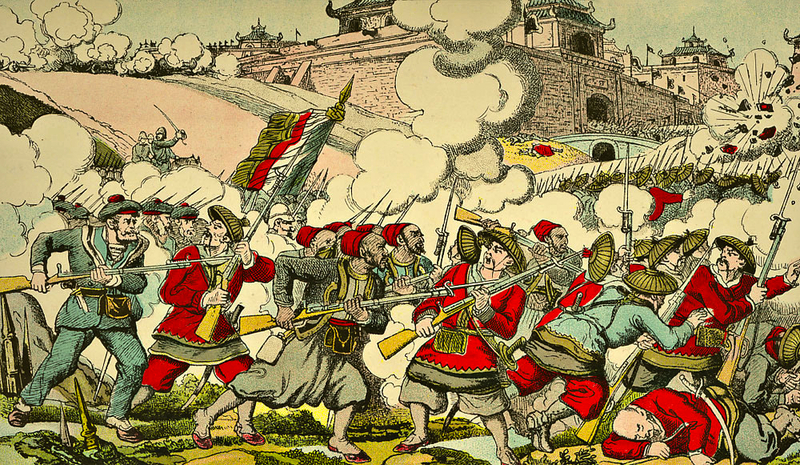 The Chinese rushed to the defense of their colony, but could not provide much of a defense against the French army. Unlike the English in the Opium Wars, the French were not without their losses, and they lost one of their main generals, Henri Rivière. This prompted the French into anger and they pushed forward, claiming Vietnam in the Treaty of Huế. However the Chinese were not all in full agreement with the treaty, and soon after the conclusion of the battle in Vietnam, they attacked the French without any notice. 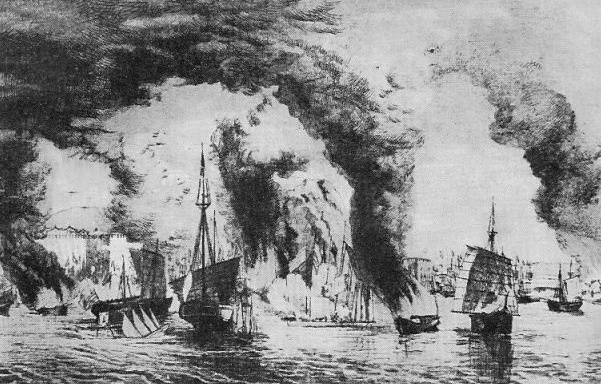 The French retaliated and attacked China, destroying the Chinese. With the impending threat of a Japanese-French alliance, China accepted the Treaty of Tientsin, which granted more land to the French as well as trade freedoms. 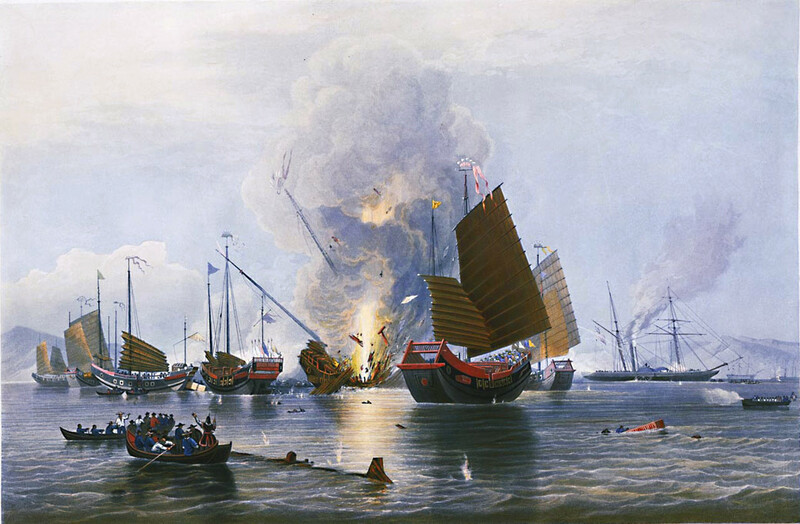 If the First Opium War had destroyed the Chinese forces, the Second Opium War utterly stomped them into the ground and crushed them into millions of pieces. Then spit on them. 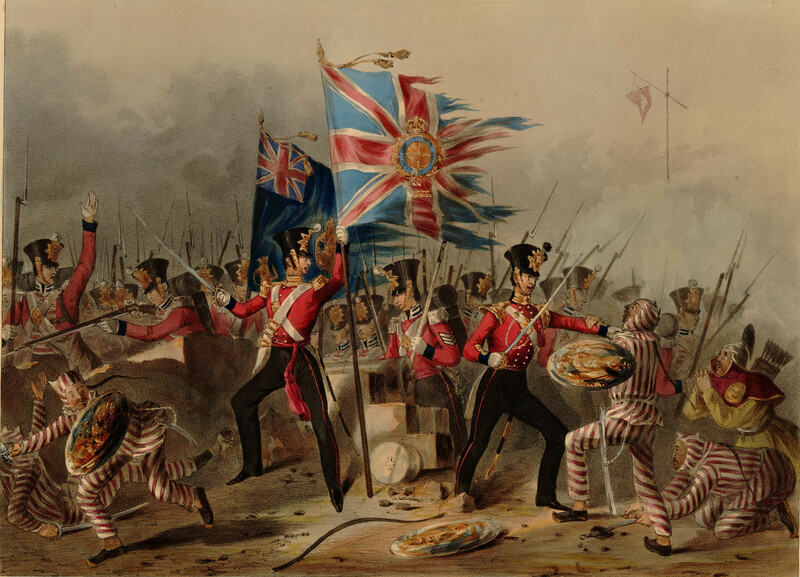 The Second Opium War had little premise; England wanted to expand the terms of the Treaty of Nanjing to include further conditions – among which was legalizing the trade of Opium. China rejected all their demands. 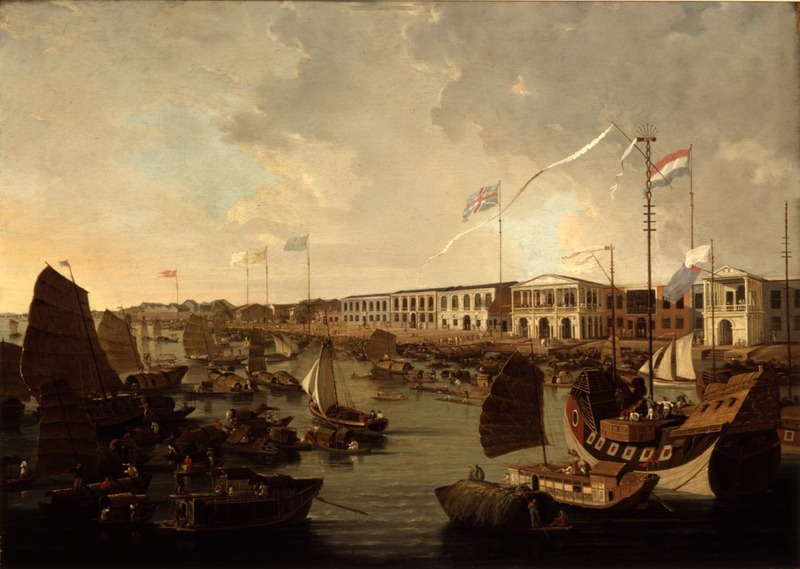 Subsequently, searching for a cause to declare war and force China to accept their demands, England saw an opportunity in a recent ship that had been captured by the Chinese government. They claimed it had been an English ship and, despite China freeing the ship and apologizing for capturing it, summoned all their allies to war. China found itself facing off against England, France, Russia and America – they were doomed. America and Russia ended up not providing any support for the war, aside from their alliance while France and Britain rampaged through China, which was incredibly weak by this point. At the end of the short-lived war, the Treaties of Tientsin were signed which declared that all the victors would have the authority to establish embassies in China, trade in China would be much more open to foreigners and China would pay both England and France. The Treaty of Anguin was also signed, which overwrote the Treaty of Nerchinsk and gave Russia back much of the land they had lost. However the war did not end here. Qing Dynasty China did not like the terms of the agreement and as England tried to sail through zones which had been declared free by the treaty, they were blockaded by Chinese troops. They blasted open the blockade and the second portion of the Second Opium War began. 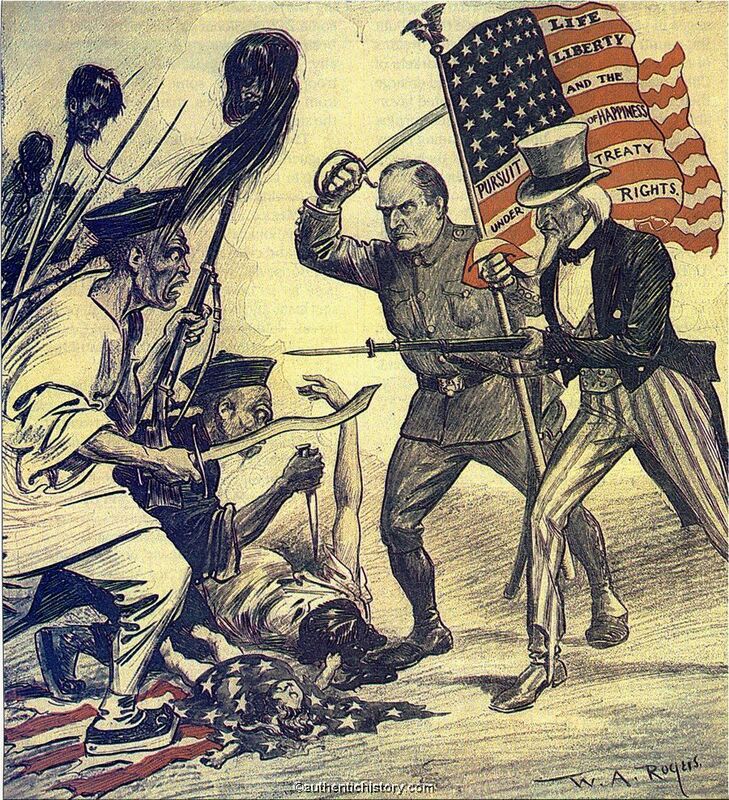 After defeating the Chinese yet again, the Convention of Peking ended the Opium Wars with further conditions; Britain gained more territory, China was forced to legalize both Christianity and the Opium Trade they had fought so hard against and finally, Britain was authorized to sell Chinese slaves to America.